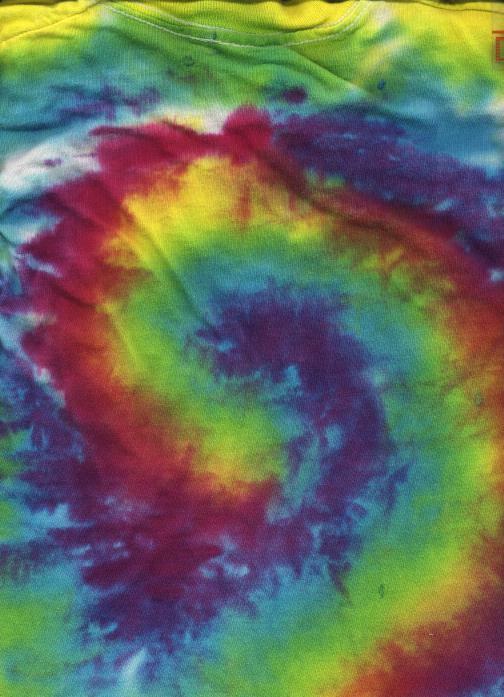 I laid the pre-soaked shirt flat on a table whose top is composed of a 1/4 inch wire grid, then carefully applied the dyes in a sort of spiral design directly from the squirt bottles....a simple technique, and one of my favorites. Otherwise, I followed the usual technique. Page created: August 23, 1998.